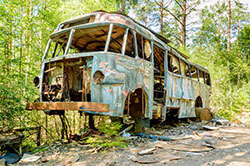 Sell a Junk Car for Cash in Baton Rouge LA! We Buy Cars in 24-48 Hours! The Louisiana capital city of Baton Rouge is the 2nd largest in the state and home to grand architecture, a happening nightlife scene and lots of good old Southern hospitality. But when your old junk car can’t make it down I-110, it’s hard to get out an enjoy all that the city has to offer. If your junk car can’t get you around town with ease, it’s probably time to sell. However, most private buyers aren’t interested in damaged cars and Baton Rouge junk car buyers don’t really know how to properly appraise less-than-perfect vehicles. Luckily, at DamagedCars.com, we’re experts in buying and evaluating junk cars! We buy cars online and have an excellent rating and reputation within the industry. We can usually get you an offer within 90 seconds or less online and aren’t into haggling sellers down with low ball offers. In fact, we’re so eager to buy your damaged or salvage cars that we offer free towing nationwide and typically pick up cars within 24-48 business hours! What Kind of Cars Do You Buy in Baton Rouge? If you’ve lived in Baton Rouge for some time, you know how difficult it can be to sell your damaged cars. While private buyers aren’t interested, junkyards don’t know how to properly appraise cars with damage or they’re simply interested in the scrap metal value of your vehicle. Want to know how much YOUR car is worth? Get your FREE online offer today! What Do I Need to Sell My Car in Baton Rouge? 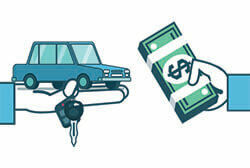 Ready to sell your car for cash? If you’ve got your keys and vehicle title, we’ll make it easy to sell your car fast. Additionally, your vehicle registration will come in handy to provide proof of ownership and you may want to get a completed Louisiana Bill of Sale to keep for your personal records as proof of purchase. From there, we’ll handle the Louisiana state vehicle title transfer quickly so that you can get paid fast. Finally, you’ll need to remove your license plates before we tow your car away and return them to the DMV. Our simple “cash for cars” program is designed to be fast, efficient and easy so that you can get rid of your junk cars without a headache and get the money you’re owed quickly. All it takes is a few clicks of your mouse to find out what your car is worth and we’ll even give you time to think about our offer. Once you’ve accepted our price, we’ll go ahead and schedule a convenient pickup at your home or office, with a typical turnaround time of 24-48 business hours. Most people flock to Baton Rouge to purchase a home because the city boasts low property taxes. With so many people on the road, it’s no wonder finding a great price for your junk car can be difficult when you search locally. Instead of wasting time towing your junk car around town, sell online with us in the comfort of your own home! Where Do You Buy Junk Cars in Baton Rouge? We work with reputable junkyards all over the greater Baton Rouge area to make the selling process simple and easy. With free nationwide towing, we’ll pick up your car at your location and make sure you’re paid on the spot. We also work with partners that recycle vehicle parts utilizing environmentally-friendly processes, so you never have to worry about where your junk car is going. What should you know before selling to a junkyard or private buyers in Baton Rouge, LA?